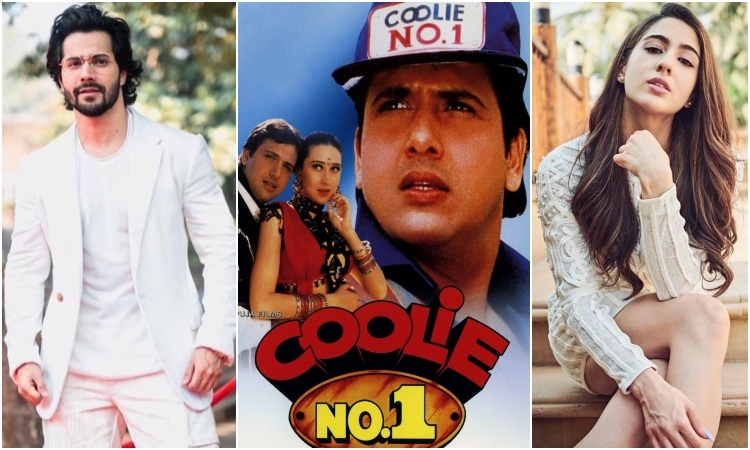 Bollywood superstar Govinda's fan-favorite film Coolie No. 1 soon has its adaptation. This 90s' film ruled the audience's hearts and we still love watching it. But, now that its gonna be adapted the major concern remains which actor can revamp Govinda and Karishma Kapoor? Well, we the reports have been confirmed and we already have strong contenders for the comedy-drama. Sara has been making it to the headlines with her successful debut with Kedarnath and her performance in Simmba literally made the audience fall in love with her. Both films were hit at the box-office and captured a huge fan following. Now that the female lead is already confirmed, Varun Dhawan is all set to perform as the male lead in the adaptation. According to a report, the filmmaker David Dhawan is set to make an adaptation of Coolie No. 1, which starred Govinda in the lead role. The film, which is reportedly set to go on floors this July, marks the third collaboration of the father-son duo after Main Tera Hero and Judwaa 2. The report quotes writer-director Farhad Samji, who revealed to the publication that he's penned the dialogue draft of the film and has even earned Varun's nod. Varun has reportedly begun to prep for dialogues months ahead of the film. He said, "It is a boon for any writer to work with a dedicated actor like Varun. I narrated the dialogue draft to him recently and he immediately asked me for a copy, so he could rehearse his lines even though there is still time for the film to go on the floors. I am looking forward to teaming up with Sara for the second time."